Although I love food, baking is more my passion! And one of my favourite home baker is my friend P! And I know that whenever my Greek friends call for a get together, the chances are P will be baking something sweet! 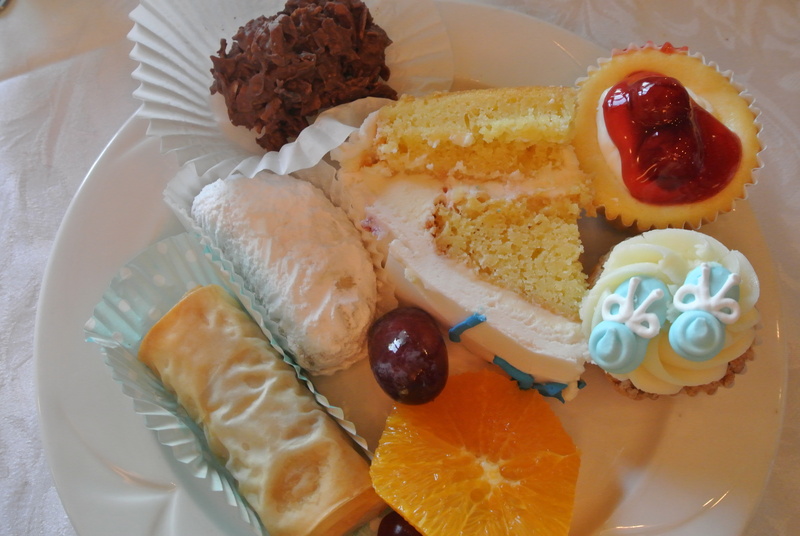 So when my friend B held a baptism reception for her son, there were platters full of homemade Greek desserts, cupcakes and of course, the latest from P – homemade mousse. 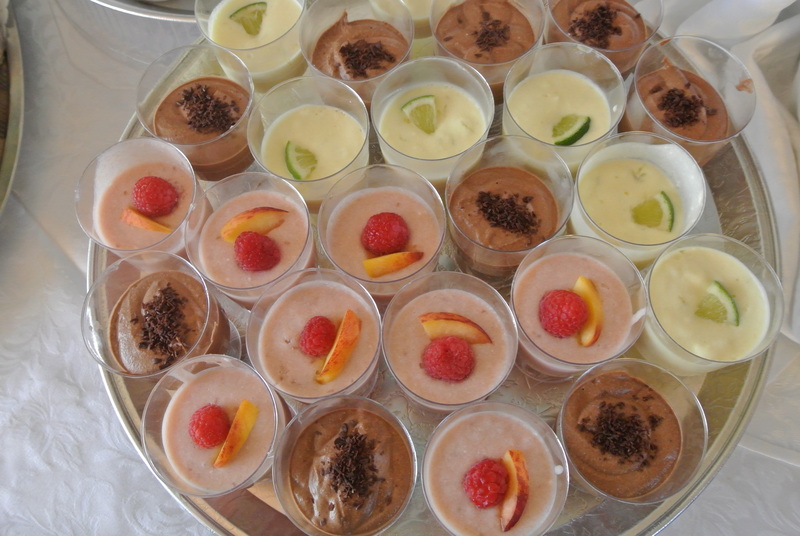 She made three different mousse flavours and served them up in individual cups: chocolate, raspberry and my favourite of them all, key lime! It was tart, sweet and very smooth – such a light dessert, perfect for summer and a great way to end a meal! Can’t wait for what she tries next! 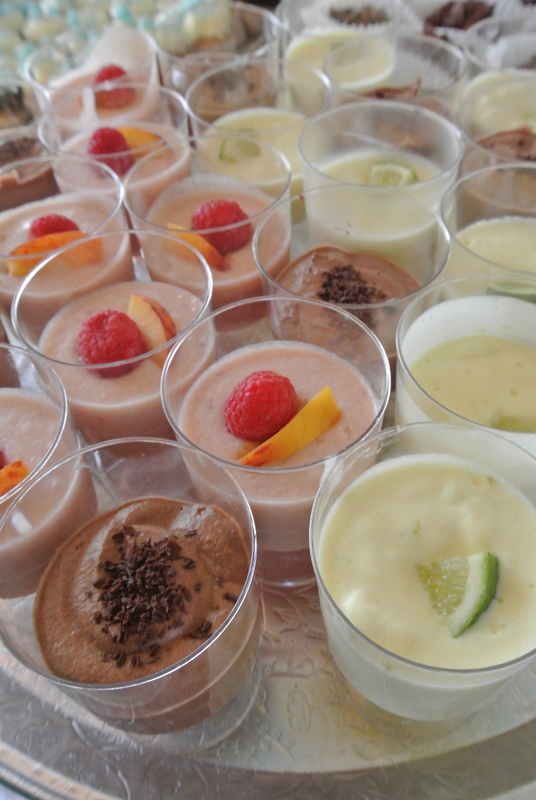 P’s individual homemade mousse cups: chocolate, raspberry and key lime! Tray full of P’s homemade mousse. My plate full of goodies and yes, I tried them all! 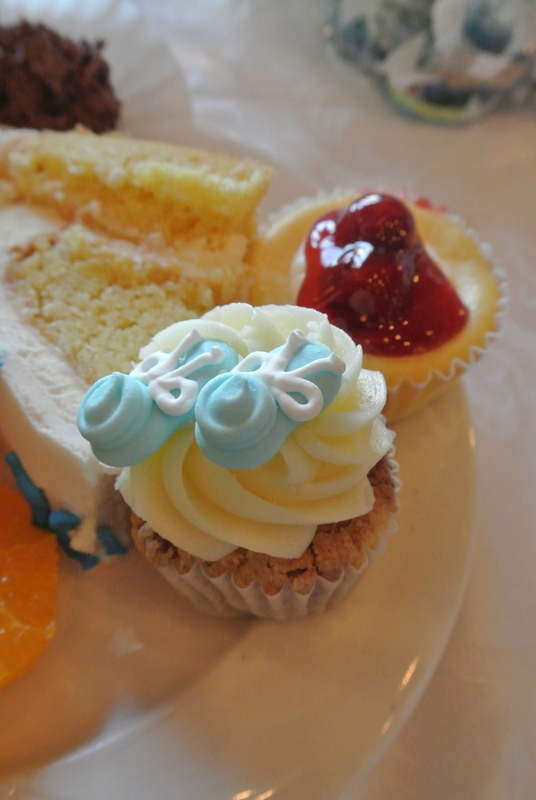 Mini cupcake with little baby booties! Behind it, homemade mini cherry cheesecakes. 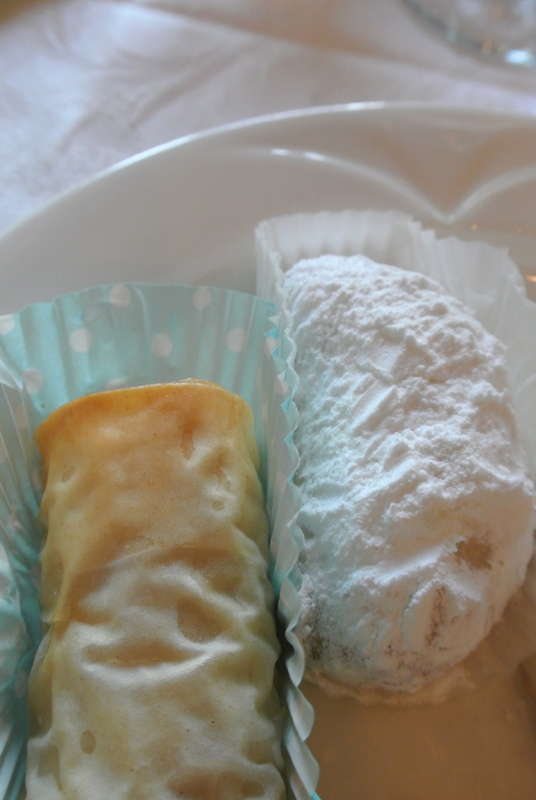 Homemade greek sugar cookies and homemade “baklava” – same ingredients as traditional baklava but rolled inside phyllo, YUM!